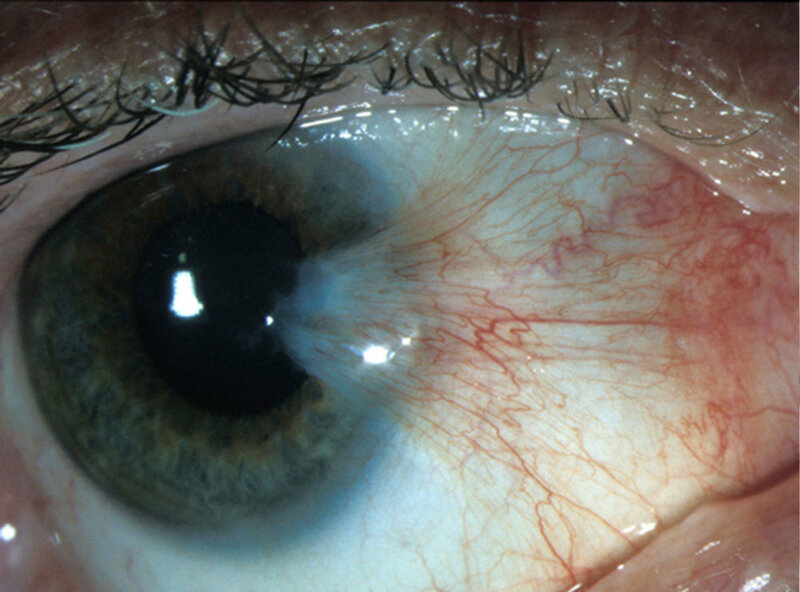 A pterygium is a fleshy overgrowth of tissue on the surface of the eye. Australia has one of the highest rates of pterygia (the plural of pterygium) in the world due to our sunny climate, outdoor lifestyle and high UV exposure. When they are small, pterygia may not cause any concern at all, however, as they enlarge they may cause redness, irritation, corneal scarring, reduced vision, irregular astigmatism, tearing and an unsightly appearance. If a pterygium is small and not causing problems then no treatment is required. However, a pterygium is damage that has been caused by the sun and as such, you should wear broad brimmed hats and good quality UV blocking wrap-around sunglasses. Ensure your sunglasses are purchased from your optometrist or reputable eyewear store and beware of cheap online websites as these inferior lenses may not meet Australian UV blocking standards, or even worse, may be counterfeit with no UV blocking qualities at all. During periods of cold or dry weather your pterygium may become red and inflamed – artificial tear supplements will often relieve this irritation. Dr Cronin performs the latest microsurgical pterygium removal combined with a large autoconjunctival transplant to achieve outstanding cosmetic results with extremely low recurrence rates. In the same way that an iceberg is much bigger under the water than above it, your pterygium is much larger than the portion that you can actually see. It will generally extend a long way back underneath the surface layers of the eye and wrap itself around one or more of the muscles that move your eye. It must be meticulously and delicately removed. Dr Cronin specialises in surgery for diseases of the cornea so he is a highly skilled and experienced pterygium surgeon. You will be heavily sedated for the surgery with your eye completely numbed by anaesthetic. Most people only remember meeting the anaesthetist and then waking up in recovery. With modern surgical techniques, you can expect an excellent cosmetic result and extremely low recurrence rates. If you do not have private health insurance, you can have your surgery as an "intermediate patient". Dr Cronin's rooms will be able to give you more information on this.